As its name would suggest, the Repairing Charm is used to repair broken objects. Apparently, it works most materials and few exceptions are known. Its use is limited to items, so it could not be cast on a living being. There have been attempts to try and heal a wound on a human in the past, but they resulted in severe scaring. Also, there are limits to what sort of damage it can repair. If an object was simply broken, it can easily be restored via the spell. However, if a powerful spell was used, like Fiendyre then the effects are impossible to reverse. 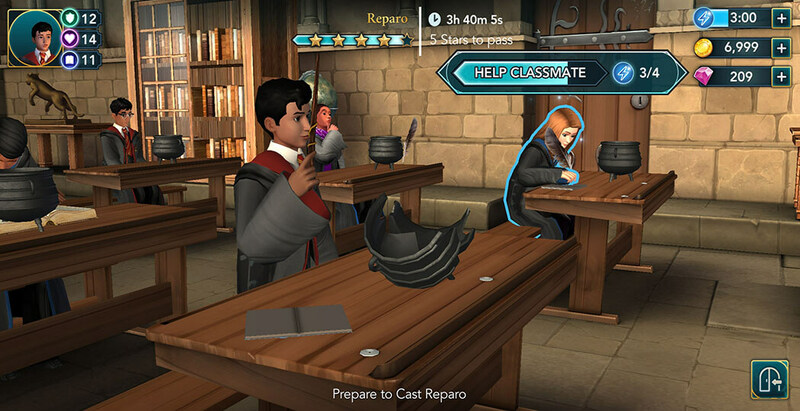 Another interesting feature of the charm is that it cannot repair a wand, although it is an object. Objects of strong magical origin are impervious to the spell, and while one might be able to temporarily repair a wand, its magical properties would never return. The inventor of the Repairing Charm is Orabella Nutelly. She invented the spell in or around 1754 when she used the charm to repair several columns preventing the breach of the Statue of Secrecy. It is possible that she had invented the spell beforehand, but this was the first recorded case of it being used. 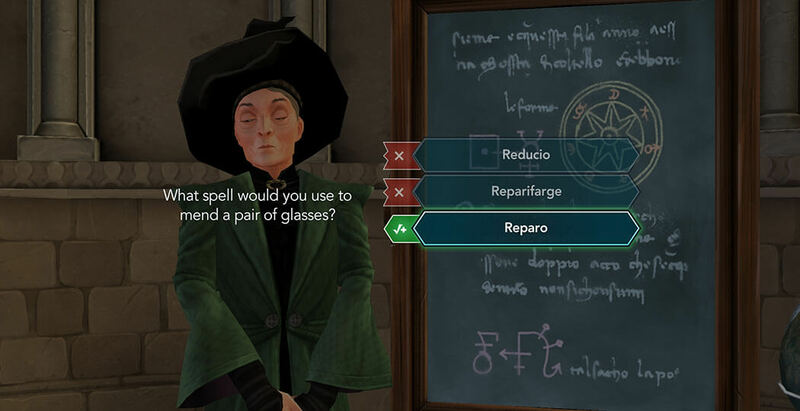 Now that you know all there is to know about the Repair Charm, let’s get started on learning how to cast it. 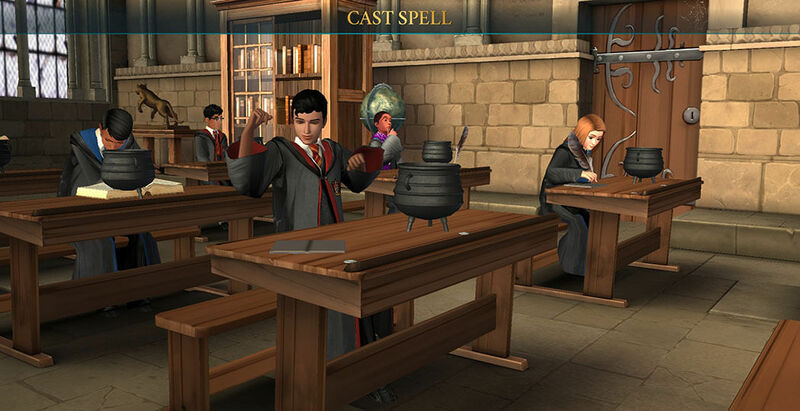 The class will be standard and consist of you clicking around the classroom on glowing objects to gather stars. Listen, observe, read and help classmates until you have enough stars. 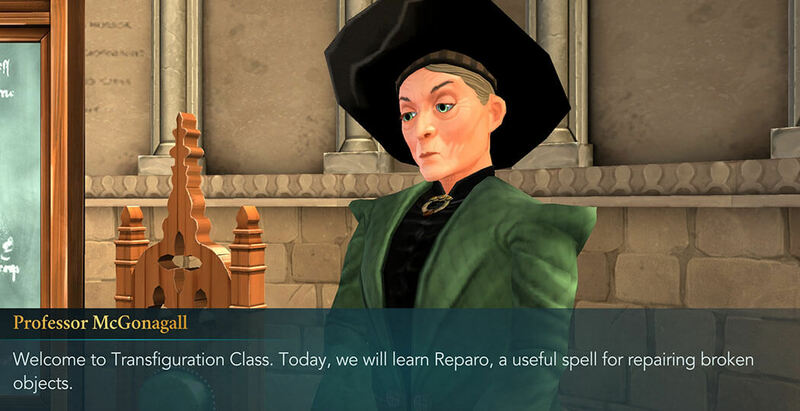 Professor McGonagall will check your attention span with an easy question. Get the answer right to make the lesson go easier! Keep up the clicking process around the classroom. It may not be the most interesting way of learning, but it sure beats reading volumes of books. 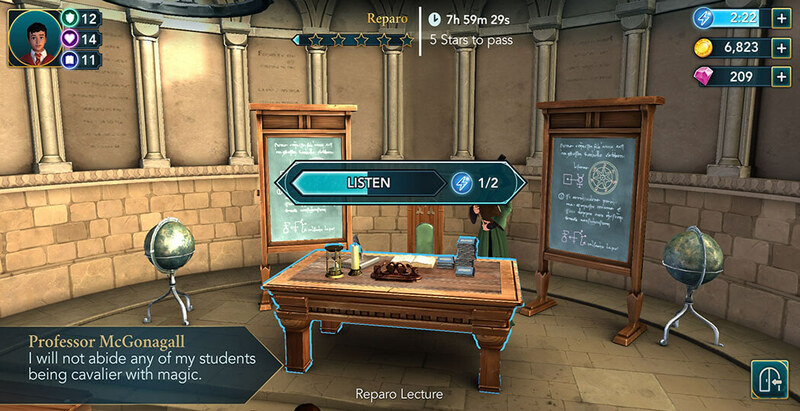 When Professor McGonagall feels you are ready, she will give you the wand path for the charm. You can test it out on the shattered cauldron in front of you. 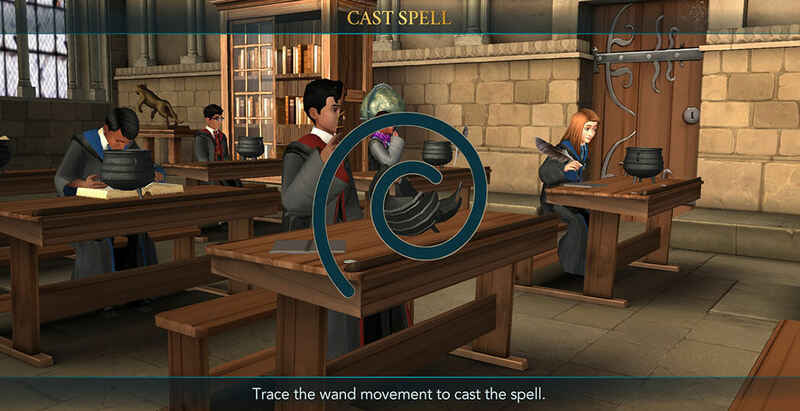 Move the wand in a circular motion and you will be done. Your hard work and training paid off! 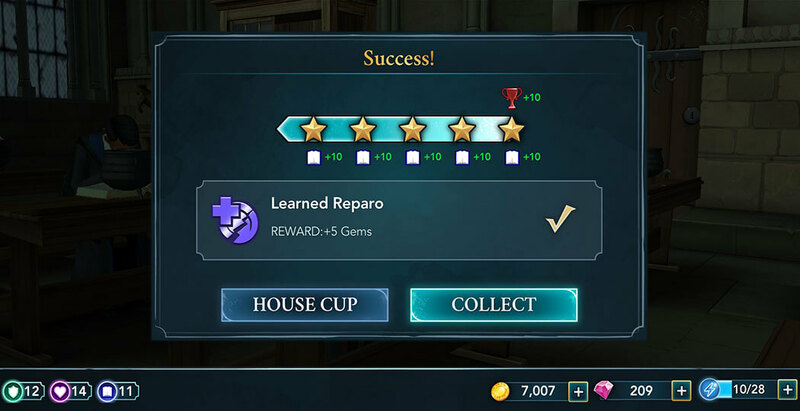 You’ve just added another charm to your already diverse arsenal and are one step closer to taking the challenges of Hogwarts head on!